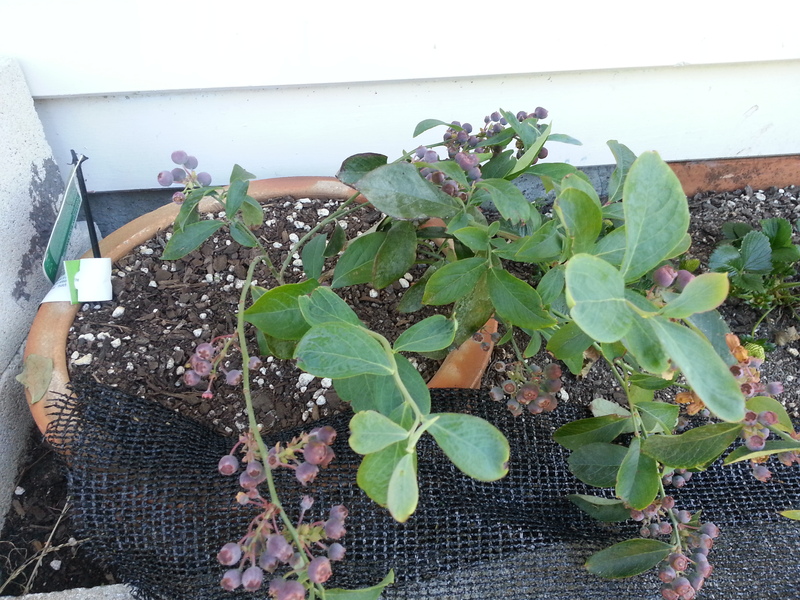 These are some photos of our garden. 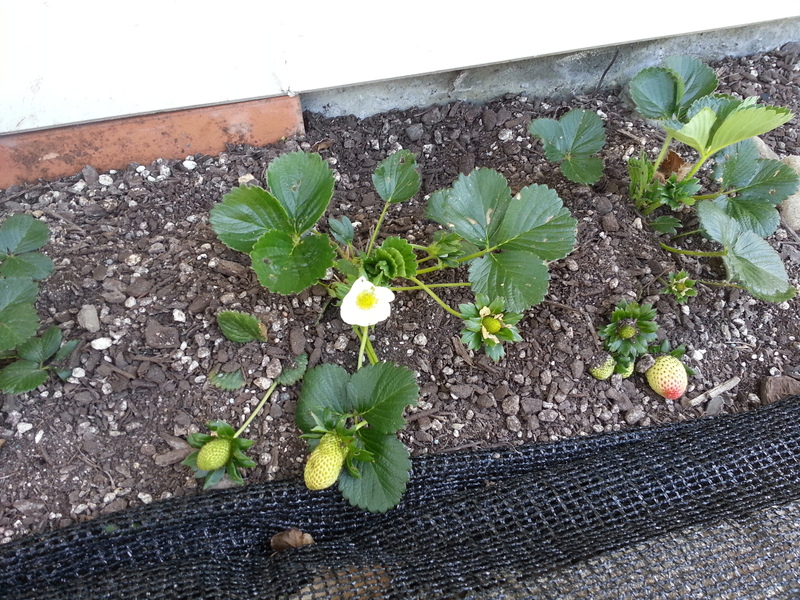 Koha and her cousin and Nanny planted some fruit a while ago and they are just starting to grow food. This makes me smile. I think we’ll be enjoying these this summer! So the plastic bags keep the birds away? How is that? Thanks for stopping by our blog. 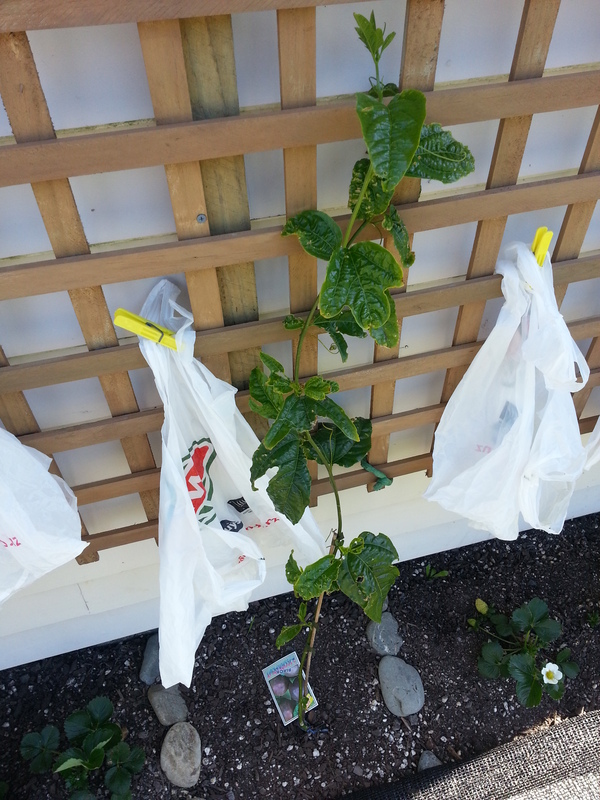 The theory is that the bags will rustle and birds will avoid them and therefore not eat the fruit.